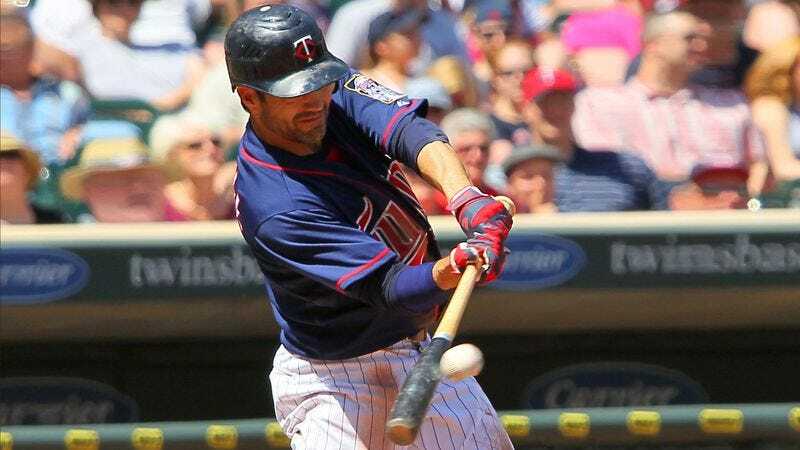 MINNEAPOLIS—Exhausted from months of trying, to little avail, to hit the ball, the last-place Minnesota Twins gathered around manager Ron Gardenhire in the clubhouse Friday afternoon to ask if they could be allowed to stop swinging their bats all the way around. "We can just do the one where you hold your bat out there halfway with both hands and see if the ball hits it," suggested second baseman Alexi Casilla, who lately has been swinging all the way through a full 360 degrees but has yet to hit a home run this season. "Or we can just go up there and do nothing. Sometimes they let you go to first base if you just stand there for a while as the balls go by. That sounds like a good strategy to me." The Twins also asked if they could discontinue running toward batted balls to field them, saying that if everyone just waits around long enough with their gloves out, eventually the ball is bound to fall into one of them.